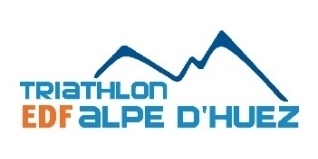 Following yesterday's Long Course event (won by Ritchie Nicholls), Thursday's Short Distance event is day two of the 2013 Alpe d'Huez Triathlon. The 1.2km / 30km / 7km race is still a challenging task however, with a bike course which is pretty much 15km pan flat to the foot of the infamous Alpe d'Huez climb, and then ride to the top... before running at altitude. Great Britain's Tamsin Lewis has been a regular at Alpe d'Huez in recent years, though usually racing the Long Course edition where she finished third in 2011 and fourth last year. While familiar with the slopes of the region, the presence of speedy ITU World Series regulars Emma Jackson and Felicity Sheedy Ryan (World Duathlon Champion in 2012) was going to make it a tough job for Tamsin today, but one she proved capable of and she split the Aussie pairing to take second place behind Emma Jackson. Home fans will be pleased to see French athletes Etienne Diemunsch and Romain Guiillaume take the top two places in the men's event. Diemunsch - twice under-23 Duathlon World Champion - dominated, finishing almost four minutes clear of Guillaume.